Ziko is looking to take his family of 5 from Calgary to Toronto for a wedding this summer. If it is reasonable, he would like to add on a trip to Halifax. I suggest that he and his wife each apply for a TD Aeroplan Visa and an American Express Gold card. This will net them a total of 50K Aeroplan miles each. Adding these 100K Aeroplan miles to their existing stash of Aeroplan miles will give them enough for 5 Aeroplan tickets in economy. I currently live in Calgary and will be going to Toronto for a family wedding this summer. Since we are packing up the kids and getting on a plane, I would love to tack on a trip to Halifax and see the East Coast as well, if it doesn’t cost too much more. We are quite flexible on dates and can work our schedule around flights if necessary. There will be 5 of us traveling. My wife and I have a 5 year old and twins who are 3. We would ideally like to travel all together. However, if there is a major savings in cost, I don’t mind if I arrive 2 hours earlier. This might give me a chance to get the rental car and settle in so my wife doesn’t have to wait around for that. Between us, we have about 50K Aeroplan miles (40K me, 10K her) and 5000 Air Miles (all her). Right now, prices are coming to about $600 / person for Calgary/Toronto only for the dates we are interested in. That would be $3000 for the family. We definitely wouldn’t be able to do Halifax if that were the price. Is there any way we can reduce that? Thanks Ziko for the question. I would love to help you out. If I understand you correctly, you want to have a plan to best reduce the cost of these flights, and are willing to be flexible to do it. Through my experience, the best values for traveling cross country would be using Aeroplan miles or using the Westjet Companion Pass that comes with an RBC Westjet Visa. See my article on discounting intra-Canada flights here. To summarize that, here are some options for Ziko to consider. For most people, I would suggest looking at alternate airports, but with the kids, I would imagine that is not as feasible as it would be for someone with no kids. In this case, I think it makes the most sense to look at frequent flyer programs, primarily, as we can likely get that trip to Halifax included for very little cost if we find the right program. 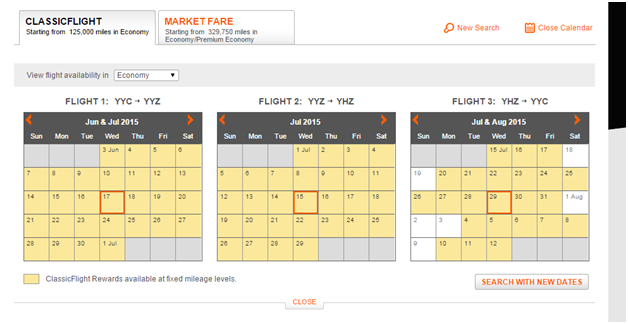 As mentioned, the only real frequent flyer program in Canada is Aeroplan. The Westjet program is simply a bank of dollars to be used on any flight. The great advantage to using Aeroplan miles for this trip would be the free stopovers included in every roundtrip ticket. This means that the trip to Halifax will have no additional mileage cost. The other great advantage to this is that if you have the TD Aeroplan Visa, you get your 1st checked bag fee waived on all Aeroplan award flights. With little ones, I imagine that bags will be checked, so this route might save significant amount of money, assuming it is doable. As mentioned in the article on discounting intra-Canada travel, I don’t think Air Miles are very easy to use. It would cost about 4000 Air Miles each person for a trip from Alberta to Ontario. Since you don’t have nearly enough and earning a large ma0unt is difficult, I think this is not a realistic option. The Westjet Visa comes has a promotion where each year you receive a companion ticket for $99. This is something that we can investigate. Using this option, assuming that each of you has this benefit, we can get your fares down to ~$2000 total. For Ziko, this is still $2000 out of pocket and you have to pay for your bags. It looks like the best option is going to be to target Air Canada flights using a frequent flyer program such as Aeroplan. I recently did a series on Aeroplan miles and used Calgary – Toronto route as my standard measuring stick. Unfortunately, using Aeroplan miles does come with a significant co-pay that wouldn’t be applicable were you to use something like United miles. Related Link: Is Aeroplan the Best Plan? As a Canadian, though, it is infinitely easier to generate Aeroplan miles through credit card signups. Each roundtrip is 25K miles + $150 taxes. For the 5 of you, that means you will need 125K miles, in 25K chunks. Remember, each ticket is 25K and you need the entire amount in each account. The ideal situation is to put all the miles into a single account. If that is the case, then if there are 5 seats available on all the desired flights, then everyone can be booked on a single itinerary. In the current situation, that would require more energy than it is worth since we want to split the “earning” work between 2 people. The 25K/100K splits means that you have to put 1 ticket as 4 people and a different ticket as 1 person. This is not ideal. Either of the 50K / 75K splits are great. I have a few articles here on how to find space on Star Alliance here and here. In this situation, since you are booking Air Canada flights with Aeroplan miles, the Aeroplan site is going to be your best bet for finding space. I have done an initial search for flights and there seems to be good availability from June onwards, especially if you are flexible. The screenshot shows availability for 5 seats on the flights that might work. With the ability to break it up, there should be no problem finding flights if you book soon. 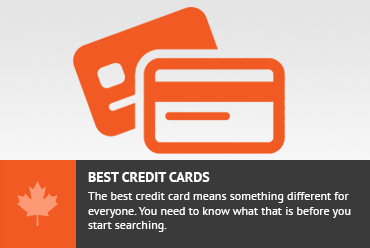 The fastest and easiest ways to earn Aeroplan miles are through the application of credit cards. Since you have good credit, you can benefit from that and let banks pay for your flights. For your situation, you are looking for a big hit with lots of Aeroplan miles coming in at once and ongoing you are not necessarily interested in using the cards. For that purpose, you would want to apply for cards with high sign up bonuses that require low spending thresholds to earn them and low (or waived) first year annual fees. Both of these links included are my links. The TD Aeroplan Visa application goes through Great Canadian Rebates and will pay you $50 additional (by Paypal) if you use that link. The American Express Gold Rewards application link goes through my referral link, which pays out 25K Membership Rewards after $500. The public offer is sometimes less than this and changes regularly. While I appreciate you using my link, I suggest you check both before applying to ensure that you are getting the best signup bonus. I suggest that each of you apply for both of these cards soon. As soon as the miles post then you can book your trip to Toronto and Halifax. The total spending requirement would be $3000 in the first 90 days. However, you can definitely get the TD Aeroplan first 15K each very quickly. This would get you completing your requirements after $1000 spending (I imagine that could be easily done in a month). Ziko wants to take his family of 5 from Calgary to Toronto for a family wedding and would like to add in a trip to Halifax. This will give him enough Aeroplan miles to take the trip he wants for $1000 in additional fees on top of what he earns from the credit cards. His alternate would be to apply for the WestJet RBC card and use the companion pass, which would end up costing him about $2000. Thanks for the question. If you are interested in getting 100K miles in a single account, that is going to require 4 applications by the SAME PERSON. I think the only way this might work is if your names are similar enough. While you might be able to try, I think that it would not be likley that you will get approved for the same Aeroplan number using 2 different persons cards. The reason is the same as why frequent flyer numbers are tied to a single person. A single account with 100K in it is much more valuable than 2 accounts of 50K, and Aeroplan is going to make it difficult to combine those. It may fall under the radar but I would be shocked if this was doable on any large scale. On your second point, it is definitely not a problem to get multiple accounts in the same address as long as they are approved. Your situation would work as long as you are ok with 25K * 2 in Husband and 25K *2 in wife account. Don't subscribe All Replies to my comments Notify me of followup comments via e-mail. You can also <a href='https://www.creditwalk.ca/comment-subscriptions/?srp=4049&srk=2648578ecea05c83754707575dc5a494&sra=s&srsrc=f'>subscribe</a> without commenting.